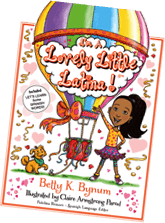 The I'm a Girl Collection: I’m A Lovely Little Latina! 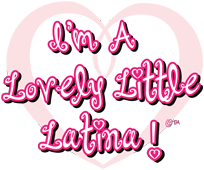 I'm A Lovely Little Latina! Hooray! 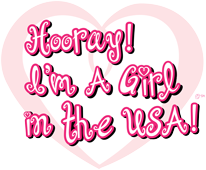 I'm A Girl in the U.S.A.! 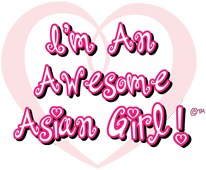 I'm An Awesome Asian Girl! I’m A Lovely Little Latina! 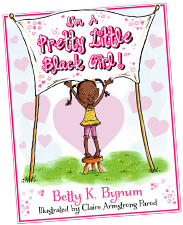 This story is a continuance of the “I’m A Pretty Little Black Girl” series for children’s picture books. This is the story for little Latina girls! It is a celebration of their heritage, their beauty, and their American and global existence in duality. It is a story and a ”song” to celebrate the vibrant and important ways that distinguish yet bind these girls to the American-born Latina girl “Maria” -- and yet, it is a celebration of the musical lyricism of the Spanish language and the cultural significance of each country. 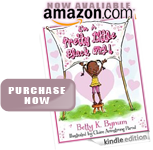 This story is fully illustrated and told in English and Spanish for learning and sharing the joys of bilingual reading. There are several girls, each from a different country: Puerto Rico, Mexico, Dominican Republic, Guatemala, El Salvador, Cuba, and Nicaragua -- with a mention of other Spanish speaking countries, too! Each girl has her own fully illustrated page in the book. Yet, the importance of the book is to celebrate the link of the language and the similarities of the colors of each culture and they live and thrive in not only the colors of Red, white and Blue in America, but the vibrant colors of whole world! !